Spring 2012 Update : Fingerling Trout Release Dates are May 7 and May 11 and will take place on the East Fork (Prong) in Stone Mtn Park, Wilkes Co, NC. We are pleased to be involved in the Trout in the Classroom program in our area’s schools. I have been privileged to take part in teaching some of the classes/students about fly fishing and also take part in some of the release dates as well. It is great to see kids so excited. Amazingly, the younger kids have so much enthusiasm you can’t help but get excited. I remember a visit with friend/fellow fly fisher and TIC coordinator for the Blue Ridge Chapter Steve Hennings…and how he told me when we visited Sugar Loaf School in Taylorsville, NC that I wouldn’t believe their response to us coming. As Steve made his way down the hall with me in tow, I heard them ranting and cheering …”YES, Yahooooooooo, Its the Trout Guy………” . And these are elementary students. Perhaps we can learn something from them….! Jeff with students at Sugar Loaf Elementary in Taylorsville, NC. The kids were awesome and I have not seen this kind of enthusiasm in quite a while………very encouraging for the future of our natural resources in NC. As part of the program I have had the opportunity to share the sport of fly fishing and how responsible resource conservation ensures the viability of our great sport. The kids were quite interested……these folks are the future of the sport……and its our responsibility to teach them. We all got soggy on one of the release days as it was raining. But you wouldn’t know it from the kids, they were wide open and loving it. We looked at stream insects (above) and I gave some ideas from a fly fisherman’s perspective and also what and how our flies imitate these trout foods. 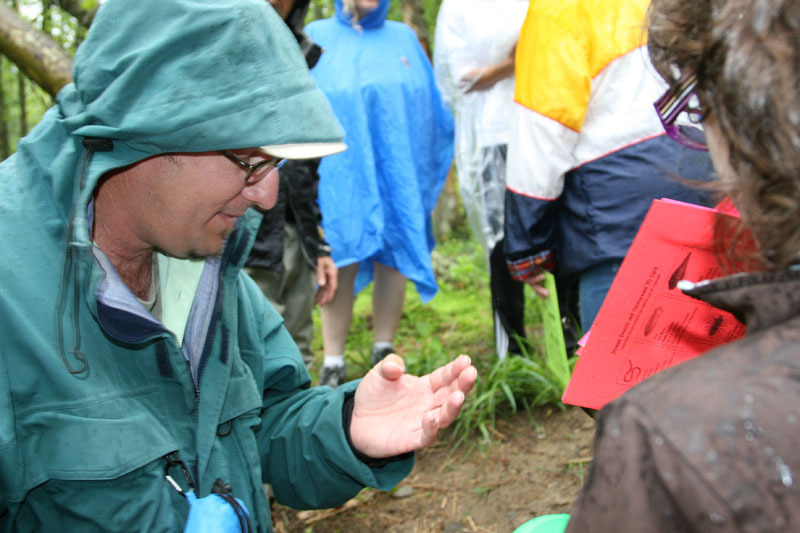 Simply, the TIC program is an environmental education program in which students in grades k-12 . . .
*raise trout from eggs to fry. *engage in stream habitat study. *learn to appreciate water resources. *begin to foster a conservation ethic. To learn more about TIC you can visit the national website here, and the local TICNC North Carolina site here to see what is going on locally with the program. Below is a short clip of some of our great experiences with Steve Hennings, Brandon Frakes, and the Blue Ridge Chapter, and most of all….THE KIDS!!!!! 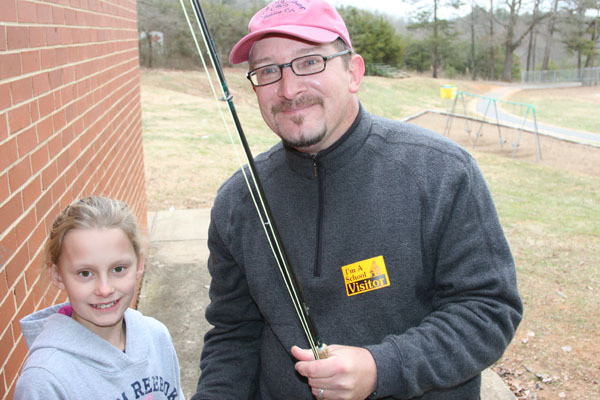 NC Trout in the Classroom was featured on Austin Caviness’ Outdoors on WXII Newschannel 12. You can check out the clip of Austin on the stream with TIC here . Many thanks also to participating wildlife officers like Chad Starbuck, fisheries folks – – Kevin Hining , a big thank you to him and his crew, and to the Wildlife Commission as a whole for support of the program.